Carefree pop jester Lykke Li has just released a new single, and it's a right barrel of laughs. Called Love Me Like I'm Not Made Of Stone, it comes with a video in which a be-stricken Lykke rotates slowly on a turntable, like a broken vase in the saddest window display of all time. 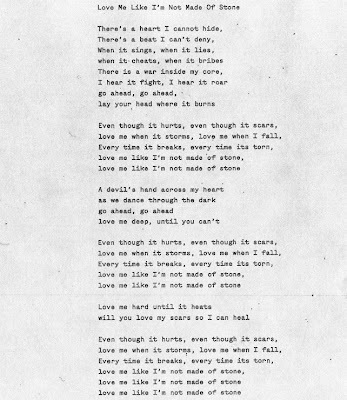 Lykke has also posted a typed copy of the lyrics online, so you can sing along at your next family knees-up. 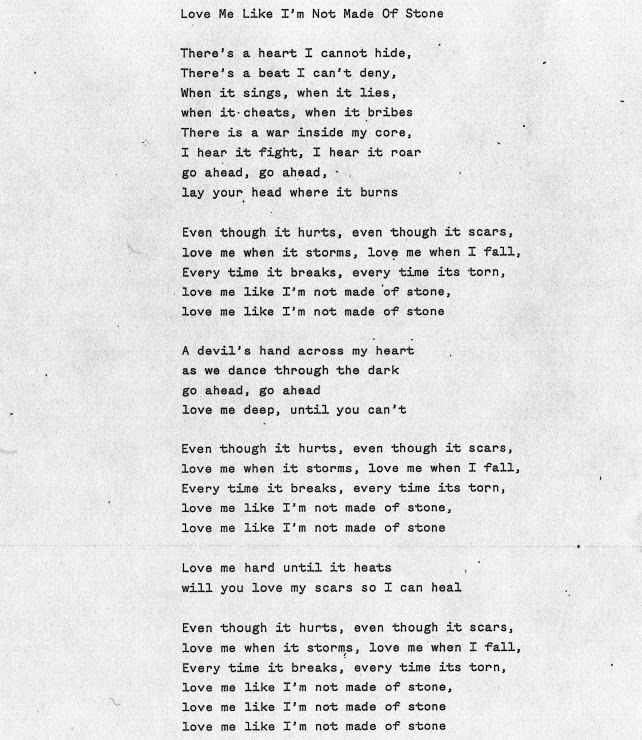 Sarcasm aside, the song is rather beautiful in its desolation. And if strikes a chord, there'll be more of that sort of thing on Lykke's third album, I Never Learn. Co-produced by Bjorn Yttling and Greg 'I do the good bits in the Lily Allen singles' Kurstin, it is described by its creator as follows: "Every song on the album is a power ballad. Like one of those old radio stations. This is a slow dance; a slow burner". You can hear previews of some of the songs on the singer's set at the 6 Music Festival last weekend.